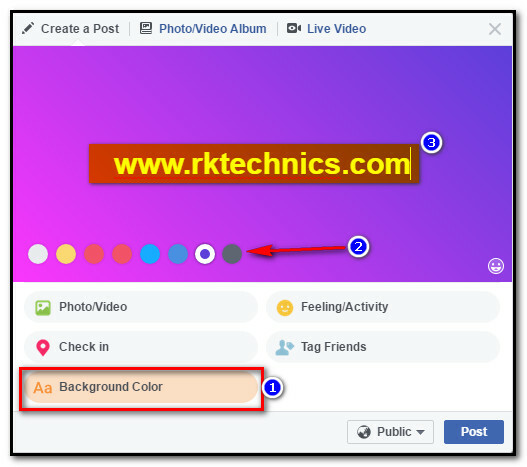 Background Color of Facebook post is arrived in the Computer PC also. this is simple to post with the background color just click on whats on your mind, then choose an option of Background Color with the icon of Aa. there are almost 8 different colors. just choose any color and write post and post. Note: This Background color is not worked when you posted an Image or any Long matter or any links.